Background: Sesame (Sesamum indicum L.) is a diploid species, known as Beniseed, Gingelly, Sim-Sim and Til. It is grown in tropical and subtropical areas of the world. Sesame seed contains high nutritional values of certain compounds (25% protein and 50% oil) and is a vital source of natural antioxidants. TH-6 (96006) is characterized by white, bold and high yielding seeded variety of sesame with a unique character of having single stem. Methodology: Variety Punjab Til-90 and line 436602 were cultivated at Oilseeds Research Institute, Faisalabad. At flowering, Til-89 was crossed as female with the line 436602 in 1990. In 1991, the F1 generation of plants were grown and self-pollinated at flowering. Homozygous progenies of pedigree number F6-96006 from F6 were evaluated for their high yield in season 1996-97. Evaluation was done through micro, zonal, station and finally “National Uniform Yield Trials”. Results: In 2006, 2217 kg/ha production was marked as its maximum potential at Oilseed Research Institute (Faisalabad) in Zonal Varietal Trail. In National Uniform Sesame Yield 2006 and 2007 the performance of TH-6 was better than TS-3 (check) by giving 32.16% and 9.59% more yield respectively. TH-6 also showed moderate tolerance against insect pests Phyllody diseases and Charcoal Rot. Conclusion: Agronomic studies revealed that TH-6 performed better if planted in 15th to 30th June if supplementation of one bag of di-ammonium phosphate (DAP) and half bag of Urea at the time of sowing and flowering, respectively, with 1st and 2nd irrigation. Sesame (Sesamum indicum L.) is a diploid species, known as Beniseed, Gingelly, Sim-Sim and Til . World’s largest producers of seasame include India and China. Rest of the countries having significantly high production of this crop include Uganda, Sudan, Myanmar, Ethiopia, Tanzania, Paraguay, Pakistan and Nigeria (FAOSTAT, 2008). It is cultivated in subtropical areas and tropical of the world. Under fairly high temperature, it can still set seed and generate high yield. It can grow in stored soil moisture without rainfall and irrigation, but continuous flooding or severe drought adversely affect sesame plants and result in low yield . Seeds are used as raw food as well as in confectionery, sweets, bakery products and also oil is used for industry in preparation of soap, perfume, and carbon papers as well as in vegetable oil [3,4]. Sesame seed, high in nutrition (25% protein and 50% oil), and a source of oil of very high quality as natural antioxidants such as sesamol and sesamin are present in this. Sesame seed also have vitamin B complex and eight essential amino acids, which are important for proper functiong of liver cell as they play role in cell oxygenation . Sesame is a short duration crop which completes its cycle within 100-110 days. It fits as catch crop in Zaid Kharif, and wheat can be timely planted after sesame. Therefore, there is great scope of horizontal expansion of sesame without affecting current area under different crops. Sesame is a better cash crop due to its high sale price, increased demand and on the other hand lower production cost. Additionaly, it is readily soled leaving farmers with no problem for its marketing . In Pakistan, area of 79.8 thousand hectares was cultivated to produce 33.4 thousands tones of sesame seed for the year 2010 according to Agricultural Statistics of Pakistan. This production is not adequate for national needs, so requirements are met through importing edible oil by spending a huge capital of foreign exchange (UD$ 1354 million) annually on edible oil trade. Pakistan is facing a sensitive shortage of irrigation water thus at present sesame is the best choice as an edible oil crop for agriculture. Currently, unprocessed sesame is exported from Pakistan and Rs. 2.15 billions were earned just in the session 2007-08 according to Federal Bureau of Statistics, Pakistan. Owning to this condition, sesame is increasingly getting popular among formers as a subsitute crop. The sesame breeding programme at Oilseeds Research Institute, Faisalabad is aimed at developing insect/disease resistant and high yielding varieties, which are appropriate for both irrigated and rainfed areas of Punjab. In result to different strategies and experiments adopted, a new variety TH-6 (96006) having unique characters of single stem with direct pod bearing on it has been developed. This newly developed variety has remarked potential of tolerance against phyllody diseases, charcoal rot and in consequence high production. Same type of work has been reported earliar . Punjab Til-90 and line 436602 varieties were cultivated at Oilseeds Research Institute, Faisalabad. At flowering, Til-89 was crossed as female with the line 436602 in 1990. During 1991, the F1 generations of both varieties were grown and at the stage flowering, they were self-pollinated. In the next crop seasons (from 1992 to 1996) grown filial generations were forwarded to select superior recombinants featuring unique character single stem with direct pod bearing on it. In F2 generation, 52 individual plants with good plant vigor and early maturity were separately harvested. For F3 progeny, out of these 52, 35 (thirty five) single plants were selected. 61 plants were harvested separately from the selected rows for their high yield and health. To establish F4, 24 single plants were selected on the basis of their better performance. 43 individual plants were harvested from the selected rows of F4. For the following generation i.e. F5 generation, 28 plants were selected having unique character of single stem with direct pod bearing on it. To grow F6 progeny generation, 18 progeny rows of F5 were selected. Ten (10) progeny rows of F6 having better yield and increased vigor were screened in for further experimentation. The same procedure is also adopted in other studies . Morphological traits and yield potential of 96006 variety were compared with check variety viz TS-3 during evaluation. Four replications with randomized complete block design (RCBD) was followed at each site. Each plot had 4 rows and 6m length was dedicated for each entry. Seed drill was used to plant seed by keeping distnace of 45cm between each row. From sowing to harvesting, all standard agronomic practices were applied and maintained. MSTAT-C, computer statistical software package, was used to calculate and analyze variance for different measured traits. At 5% probability level, differences among means were tested by applying least significant difference test. In Preliminary Yield Trial (table 1) 96006 gave 31.78% more yield than the check variety TS-3 which indicates a highly significant difference between the two for yielding ability. Similarly in Advance Yield Trial, line 96006 yielded 313 Kg/ha and check variety TS-3 gave 194 kg/ha, it shows that line 96006 is superior in yield by 61.34%. After evaluating the yield performance of new promising line at station for two years, it was tested in zonal adaptation yield trials, during 1999 to 2001, 2006 and 2007 for its yield performance throughout the Punjab. The yield performance of the variety is given in tables (2-6). The data of zonal varietal trial in 1999 (table 2) indicated that variety 96006 gave average yield at five locations 480.46 kg/ha while check TS-3 give 274.72 kg/ha that was 74.89% more then check. The data of zonal varietal trial in 2000 (table 3) indicated that variety 96006 gave average yield at four locations 845.25 kg/ha while check TS-3 gave 744 kg/ha that was 13.60% more then check. In 2001 (table 4) indicated that variety 96006 gave average yield at four locations 955.75 kg/ha while check TS-3 gave 840.19 kg/ha that was 13.75% more then check. The data of Zonal Varietal Trial (table 5), 2006 indicated that promising line 96006 yielded higher than TS-3 i.e. 31.35%. The data of Zonal Varietal Trial (table 6) of five locations conducted in 2007 showed 96006 gave average yield in all ZVT 1266 kg/ha, while TS-3 (check) gave 1062 kg/ha. Conclusively, line 96006 was 19.20% higher yielder than TS-3. The yield performance of promising line 96006 in National Uniform Sesame Yield Trial for the year 2006-2007 is presented in the following tables. locations, the advance line 96006 yielded 826 kg/ha and 788 kg/ha in comparison with the check (TS-3) which gave 625 and 719 kg/ha during 2006 to 2007 respectively. The performance of line 96006 was evaluated at five planting times commencing from 1st June to 30th July with 15 days interval during 2006 and 2007. The data (table 9) indicated that line 96006 performed better when planted from 15th June to 15th July giving 1533.82, 1458.91 and 1124.33 kg/ha respectively. Same type of experiment was also conducted by other scientists . New variety, TH-6, was revealed to be performing better when planted in the month of June. This got matured in 100 to 110 days. This makes it more adoptable in our cropping system, as after wheat crop harvesting most of the land is crop-free. Very low cost involved in production of sesame as compared with other crops promises farmers to earn more profit by planting sesame crop. Similar result has also been reported earlier . Seed yield performance of 96006 at 5 fertilizer treatments were set out at Oilseeds Research Institute, and Agronomic Research Institute, Faisalabad during 2007 and 2008. It was observed that new line 96006 yielded better (940 kg/ha) at existing standard dose i.e. 60:60 Nitrogen: Phosphorous kg/ha (table 10). Similar results have also been reported earlier . The average yield performance of different row spacing for the new line 96006 is also performed better with existing standard row spacing i.e. 45 cm. The existing row spacing of 45 cm proved to be the best for the new strain 96006 during both years i.e. 2006 and 2007. The screening studies were carried out by Oilseed Pathology division during 2006 and 2007. The line 96006 was placed in tolerance group both in Charcoal Rot and Phyllody diseases (table 12). The strain was evaluated by spot examination committee on 15-09-2008. The committee recommended for submitting this line before Experts subcommittee for its final approval for general cultivation. The expert sub-committee in its 64th meeting held on 23-10-2009 approved 96006 as new commercial variety named TH-6 and forwarded for its approval in Punjab Seed Council. In Punjab province, this variety has been officially certified for cultivation at all levels. 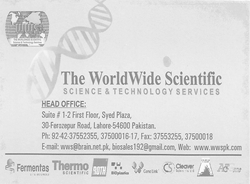 The Pre-basic and BNS seed has been developed from a stable and uniform lot at Oilseeds Research Institute, Faisalabad. The salient agronomic and botanical description was recorded according to descriptor established by FSC & RD, Islamabad. TH-6 is suitable for edible purpose and has bold seed which is desirable characteristic. It matures within 100-110 days that is earlier than TS-3 variety. The plant type and growth habit is determinate. It's leaf is semi erect, mid green and lobed in type. The flowers are pendulant, tubular, two lipped with white color and bell shaped reportedly taking 39-45 days for opening . Capsule shape is rectangular in attitude and its shattering is nil. No. of seeds/capsule are 80-100 and capsules/plant are 70-90. Seed color is white and it posses 50–53% edible oil. 1000 seed weight is 3.65g. It is evident from the sowing date trial that new variety TH-6 when planted in the month of June. It performed better and matured in 100 to 110 days. It is well fitted in our cropping pattern i.e. as most of the land is fallow after harvesting of wheat crop. Farmer can earn more profit by planting sesame crop as it has low cost of production than any other crop. Ahmed SBM, Ahmed AF. Genotype X season interaction and characters association of some Sesame (sesamum indicum L.) genotypes under rain-fed conditions of Sudan. African Journal of Plant Science, (2012); 6(1): 39-42. Mensah J, Obadoni B, Eruotor P, Onome-Irieguna F. Simulated flooding and drought effects on germination, growth, and yield parameters of sesame (Sesamum indicum L.). African Journal of Biotechnology, (2009); 5(13). Khan N-uI, Akbar M, Sabir KM, Iqbal S. Characters association and path coefficient analysis in sesame (Sesamum indicum L.). OnLine Journal of Biological Sciences, (2001); 1(3): 99-100. Yol E, Karaman E, Furat S, Uzun B. Assessment of selection criteria in sesame by using correlation coefficients, path and factor analyses. Austerlain Journal of Crop Science, (2010); 4(8): 598-602. Sarwar G, Hussain J. Selection criteria in M3 and M4 population of sesame (Sesamum indicum L.). Journal of Agriculture Research, (2010); 48(1): 39-51. Anwar M, Mahmood T, Iqbal J, Hussain M. TS-5: A new high yielding sesame cultivar. Journal of Agricultural Research, (2012); 50. ChurlWhan K, SukBok P, JaeWhan R, Jin S, DongWhi K, et al. A new sesame variety, Kangbaek, with disease resistance, lodging tolerance and high yield. Korean Journal of Breeding, (2005); 37(4): 249-250. Mahmood T, Ejaz-ul-Hasan MA, Hussain M. Faisal canola: A new high yielding canola variety for general cultivation in Punjab. Journal of Agriculture Research, (2012); 50(3). ChurlWhan K, DongWhi K, YongAm C. Effect of sowing dates on flowering and maturity of sesame. Korean Journal of Crop Science, (2006); 51(2): 113-117. Papari Moghaddam Fard A, Bahrani M. Effect of nitrogen fertilizer rates and plant density on some agronomic characteristics, seed yield, oil and protein percentage in two sesame cultivars. Iranian Journal of Agriculture Science, (2005); 36(1): 129-135. Martin JH, Leonard WH Principles of field crop production. Chapter: Miscellaneous industries crops. Macmillan, New York, 1967. pp: 922-924. Anwar M, Hasan E, Bibi T, Mustafa HSB, Mahmood T, Ali M, 2013. TH-6: a high yielding cultivar of sesame released for general cultivation in Punjab Adv. life sci., 1(1), pp. 44-57.